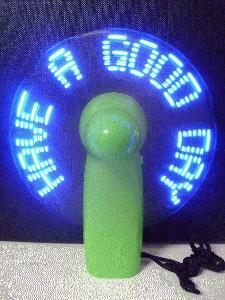 Look and feel cool this summer both in the office and out and about using the Promotional LED Fan. With a 2 spot colour print and a free choice of fan message, this branded product attracts attention in all the right ways, giving your business the best exposure possible. This is a clever yet fun promotional method and is a sure hit with customers both sat in the office or out bathing in the sun – a definite must for the summer months! Wise up to the summer market with this fun branded item or try out something new from our Promotional Summer Products range. For more information or enquiries on our Promotional LED Fans, leave us message and we'll get right back to you.